Desi Smith Staff photo/Gloucester Daily Times. 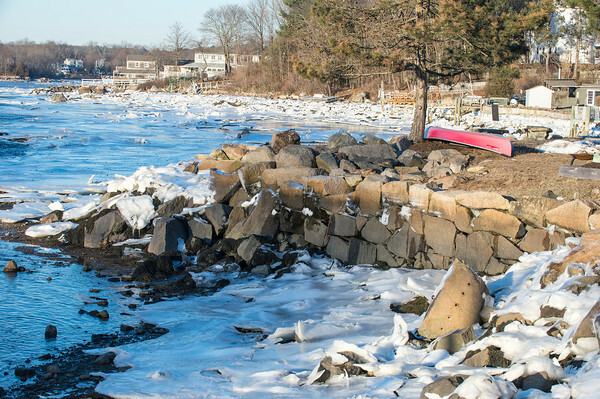 A canoe sits on the shore as ice forms in the Mill River saturday afternoon. Thursday afternoon. January 30,2013.